It is good to be home! There have been a lot of good birds seen in the Northern Territory over the past few weeks, but this is home. It is good to go down the beach and have it all to yourself apart from a lot of shorebirds this time of year! There are other visitors to the beach this time of year and every visit brings surprises! 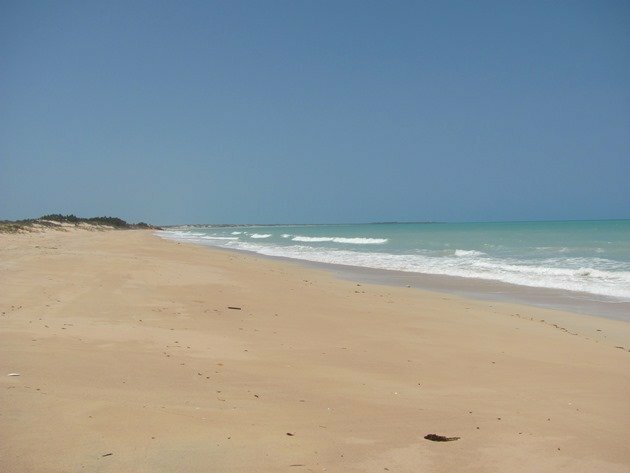 The photo above is the normally crowded nudist section of Cable Beach to the north of the rocks, but it is November and the nudists have gone back south and there are now no four-wheel drives on the beach on big tides. Looking north it really just goes forever and you can walk all the way until you get to Willie Creek and then it takes some negotiating to get around the creek itself, but can be done. Cable Beach going north-just my footprints! Walking north I soon encountered a fresh Flatback Turtle nest from the previous night’s high tide and that should hatch out in about 2 months all going well. 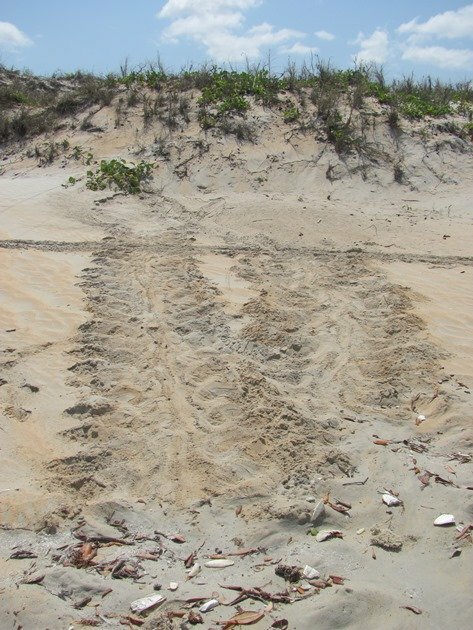 The nests have been monitored for some years now so there is now some baseline data on how often the Flatback Turtles nest on Cable Beach and how successful they are. 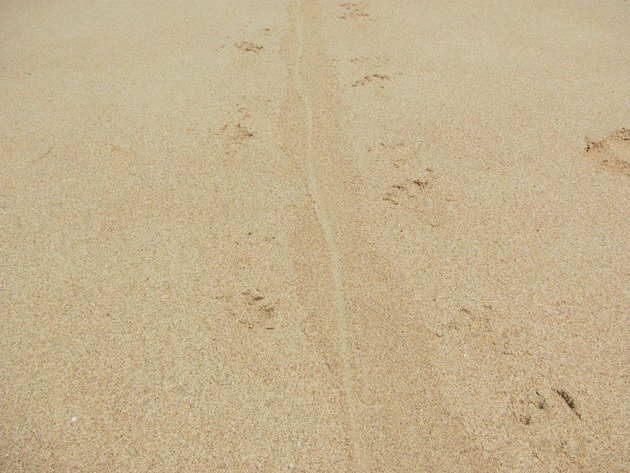 The line through the track indicates that it has been recorded by a volunteer. I soon come across a flock of Great Knot frantically feeding as the tide comes in. Thousands of Great Knot have returned from migration and they are feasting up along our coastline. Once the reef goes underwater to the north they move to find available food further south until the reef is once again exposed. 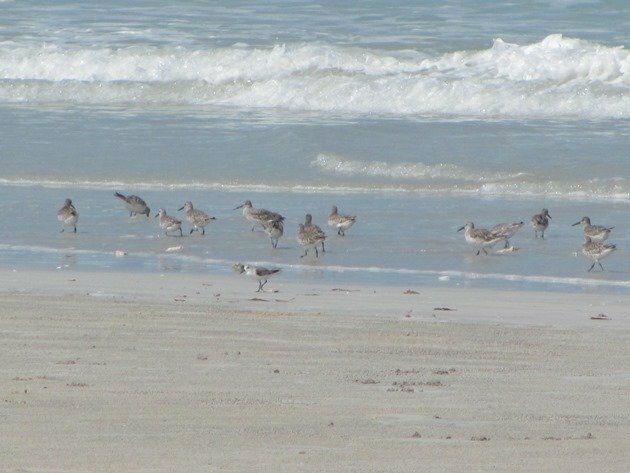 Among them are Sanderling also running around frantically looking for food and they run up and down the beach. Further north as the tide comes in I discover a flock of over 300 Sanderling and they have given up on the fast moving 10 metre tide and have resolved to roost alongside the Red-necked Stint, Red-capped Plovers and Greater Sand Plovers until the tide drops. I discover that once again there has been an Echidna along the shoreline exploring while there is nobody about. 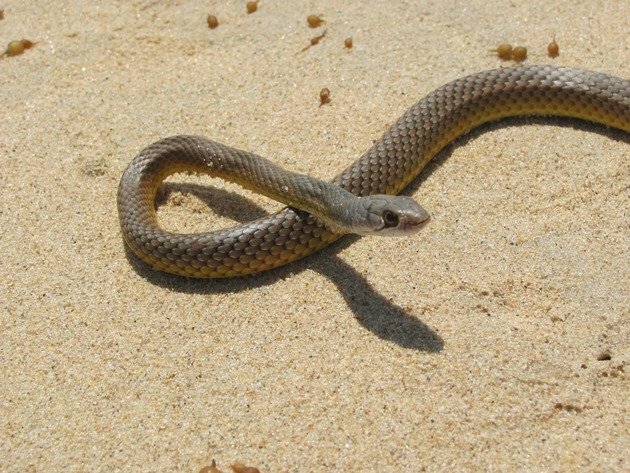 It has been seen wandering around in the dunes in the past and keeps a low profile! 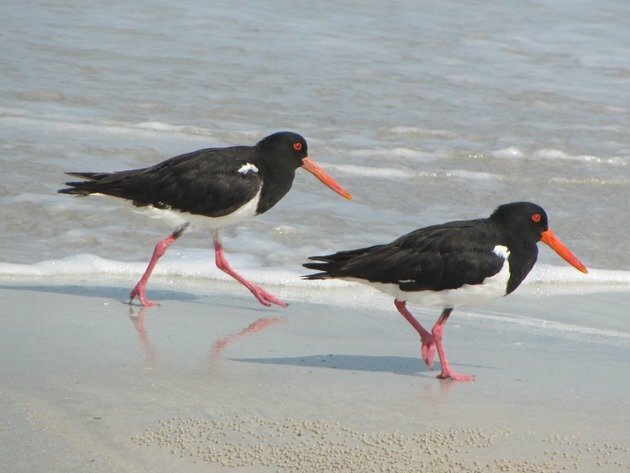 I soon found the pair of Pied Oystercatchers that I was looking for and they had two failed attempts at breeding this year. They have only once successfully raise a chick on Cable Beach in the territory they have chosen and that was incredible to follow the fast progress of a small feathery bundle to a flying juvenile. That chick moved north afterwards once its parents pushed it on and it found a flock to the north at Willie Creek and hangs out with other non-breeding birds. It will be interesting to see where it wanders in the future. The pair of Pied Oystercatchers had moved to the area to the north where they walked the chick in its early life. They are close to the reef and a good food source and will remain there for some months. No doubt once the nudists return to Cable Beach in June they will also return to the breeding territory in among all of the excitement!!?? Don’t ask….I don’t know what this pair are thinking! 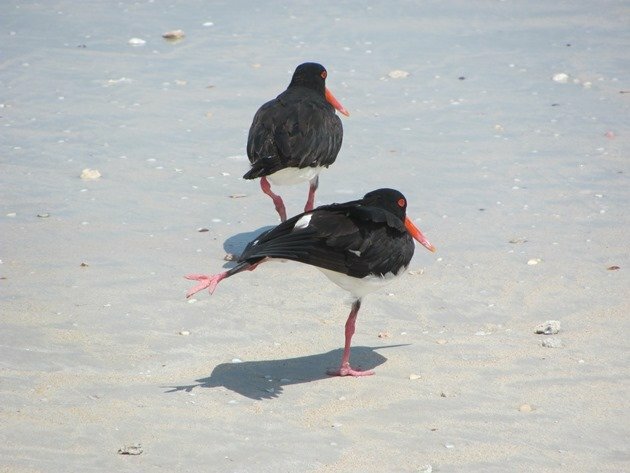 I have also been wandering to the south of the rocks on Cable Beach and the pair of Pied Oystercatchers from that territory have moved on. They don’t usually maintain their territory outside of breeding season and they have never successfully raised a chick yet. I did however discover yet another Flatback Turtle nest and she had made three massive holes in the upper section of the beach and hopefully successfully laid after all of that effort. 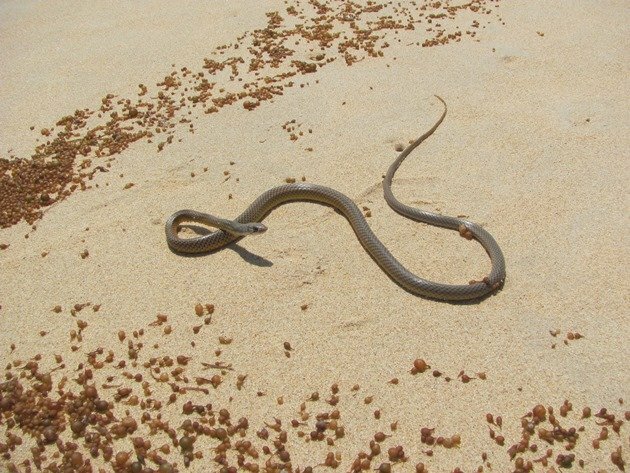 I also discovered a snake at the high tide mark among the seaweed and I believe it is a Whip Snake, but I am not entirely sure of the species and it was lively enough and I was not going to interfere! 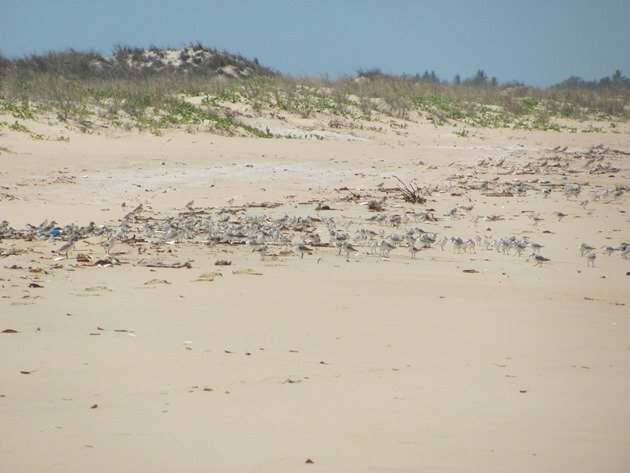 There are over two thousand shorebirds at high tide on that area of Cable Beach during the day now and even more on the night-time high tide. The majority of the shorebirds are Greater Sand Plovers, but among them are Red-necked Stints, Sanderling and even Oriental Plover on hotter days. 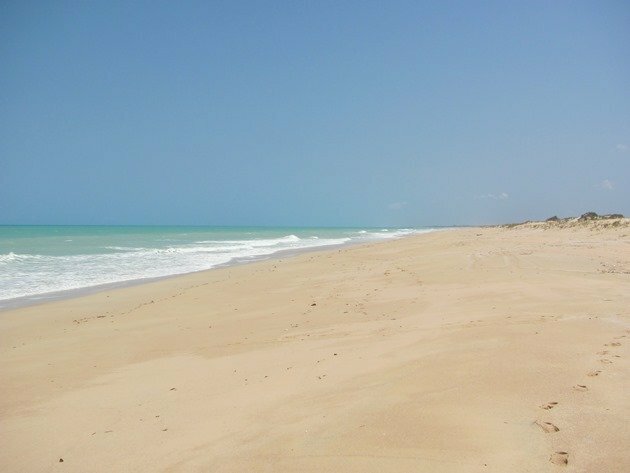 I have observed a Greater Sand Plover carrying flags from Taiwan and a Red-necked Stint marked in the Bohai region of China and they have flown a long way to be with me on a beach in Broome. Even better than all of these little shorebirds was finally seeing an Beach Stone-curlew to add to my year list! Grant had seen a Beach Stone-curlew at work in Darwin, but it had eluded me so far this year and I finally saw one this week! 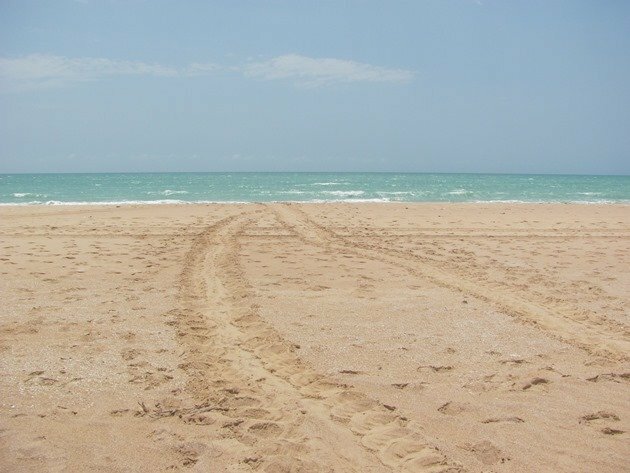 Ahhhhh, sand, sea, sunshine….with “the chance of an afternoon shower”!! Approximately 32c (90f) every day with a 27c (81f) minimum overnight if we are lucky! Home!